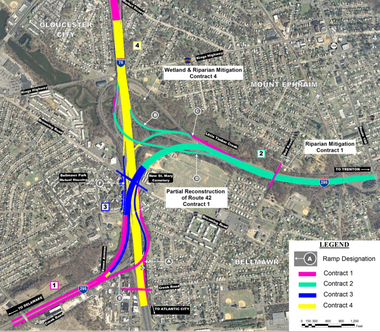 “Be forewarned: The tricky maze where Interstates 295 and 76 and Route 42 converge in Camden County – a main artery between Philadelphia and the Shore – is about to become a construction zone for at least eight years. “Calling the project a “no-brainer” in terms of need, Transportation Secretary James Simpson listed some of its features: 10 new bridges, one bridge widening, two temporary bridges, 22 retaining walls, 40 sign structures, and 15,000 feet of new or improved noise barriers. “Authorities are offering a $1,000 reward for information leading to the conviction of whoever left a fake bomb in the borough’s municipal hall last week. 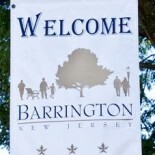 This entry was posted on March 12, 2013 by Barrington Bulletin in Crime, Region and tagged transportation.